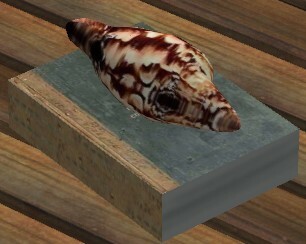 When you hold this seashell to your ear you won't hear the ocean - you will hear other people talking. What's more, you can talk back to them! When not in use, the shell sits on an old ship's logbook. Comes with two color options - feel free to make more. Beacuse of the way phones are handled in the game, you can only select a new handset color when you first buy the phone.